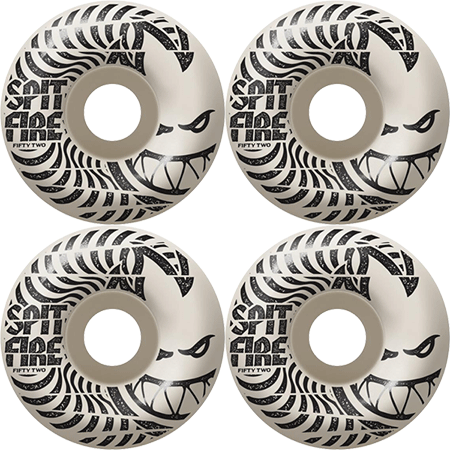 Spitfire Classic 52mm 99a Skateboard Wheels. 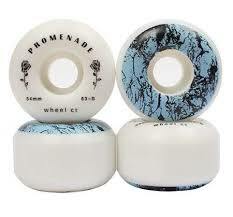 Yeah there fast wheels. 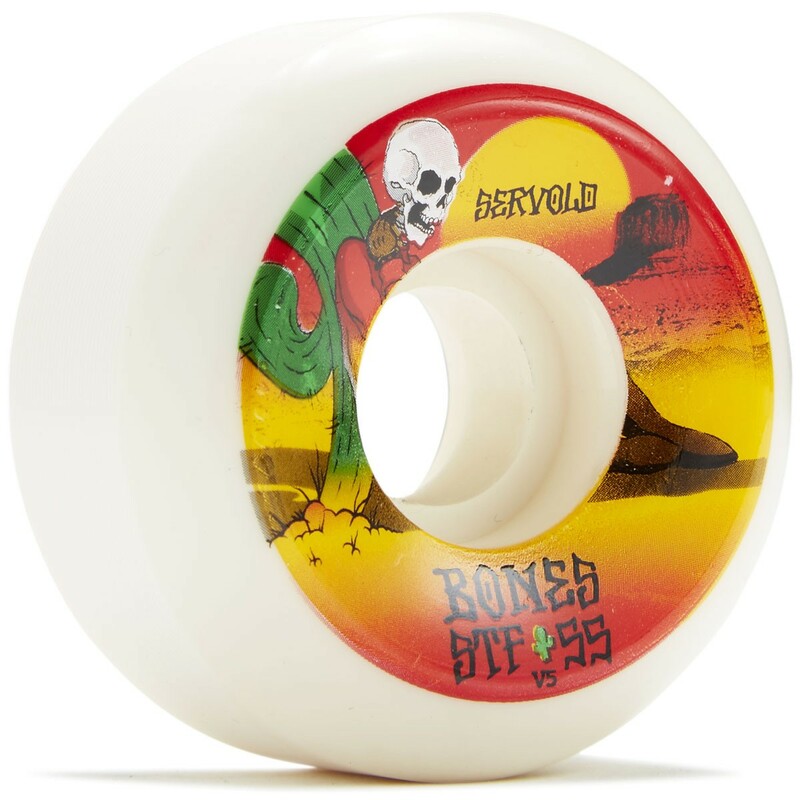 Ride the fire if you dare. 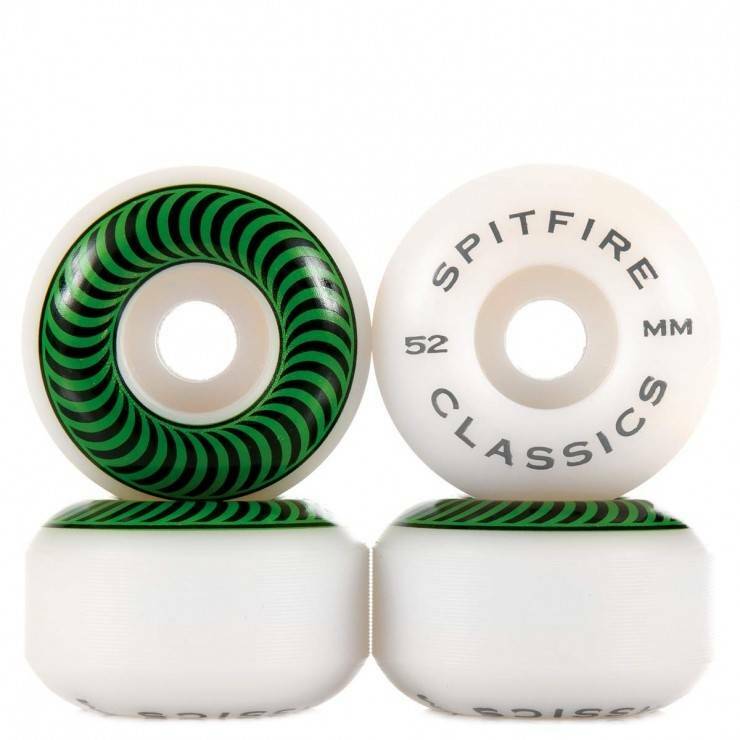 At 52mm they’re great for street skating or if your just after a faster accelerating wheel the Spitfire Classic 52mm 99a Skateboard Wheels are the ones for you.